Feeling and expressing our emotion – allowing for the motion in e-motion – are important parts of being human. They are necessary for many aspects of our health and wellness including forming healthy relationships, recovering from loss, exercising self control and finding true, rather than defensive, independence and resilience. And yet, as humans, we tend to do a terrible job of this. Rather than express, we depress. Instead of making space for our feelings we will often minimise them, especially those we deem to be unacceptable, inconvenient or simply ‘bad’. And our bumper stickers extol, ‘No Fear’ not, ‘have a good cry’. Thankfully, other mammals also experience emotion and they are frequently more emotionally honest than us humans. By observing animals we have an opportunity to learn and reflect on our own areas of struggle. One emotion which is frequently misunderstood and mishandled is the core emotion all mammals experience when something does not work for them: frustration. I find a powerful illustration of what frustration looks like in practice whenever I observe our young border collie at Healing Hooves, Maggie, around our horses. From an early age Maggie showed that she possessed huge instincts to chase things, including our horses. Sadly this did not work well for them or her and when I thwarted her efforts she then experienced great frustration, which further increased her desire to chase something. Taking an insight based approach to understanding and addressing this problem provides us with parallels and opportunities to learn in other contexts, including parenting. And, spoiler alert, the answer has not been me yelling at Maggie to stop, or even natural consequences; she has been kicked, and it did not diminish to her urge to chase or the frustration she experiences when I prevent her. Finding the way through this challenge required me to first change how I saw Maggie. If I saw Maggie as disobedient, disrespectful and defiant I was moved to punish and reprimand her. I can admit to certain days when I did just this. I would yell, scold and admonish. In the moment Maggie might cower and look sorry. And yet the next day (or moment) she would be right back chasing the horses again. It simply didn’t work, and all that yelling was not helping me develop a trusting relationship with my puppy. Things started to change once I finally accepted that Maggie was not doing this on purpose, nor was she deliberately defying me. Her behaviour came from deep rooted instincts and drives which, in the moment, were extremely hard for her to resist, even when she did ‘know better’. Chasing was and is her way of allowing both the emotion of frustration, and the chasing instinct, to move; to be expressed. Yet chasing the horses was, and still is, not a good option, for Maggie or the horses. This presented a dilemma: her emotion and instinct needed to move, but the way Maggie wanted to do this is putting herself and others at risk. 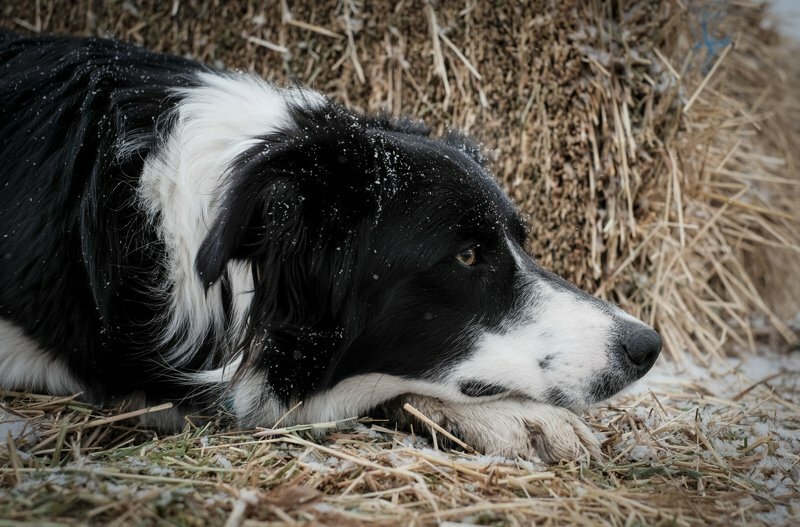 This was time for realisation number two: I couldn’t expect Maggie to make the right choice in this situation; I couldn’t expect mature and responsible behaviour in the face of extreme temptation from a young dog with huge herding instincts. So I adjusted my expectations. From there I realised it was my job to control the circumstances to keep everyone safe. This involved an extra low rail on the fence to keep Maggie out of the field, and lots of supervision. A huge break through came when we discovered the ‘jolly egg’, a large plastic egg shaped ball designed for herding dogs. I soon learned and appreciated the value of always having this ball available, so whenever Maggie got the urge to chase horses, a quick reminder from me and all her chasing energy would be redirected, both keeping her and the horses safe and providing her with an amazing outlet; a place to allow her emotion space to move without causing harm. Maggie is now four years old. There are certainly still days when I need to watch her more closely, remind her more often. But without all the yelling our relationship has strengthened, meaning she accepts redirection more readily; and as she matures she increasingly chooses the ball over the horses, even without a reminder from me. There are so many parallels and learnings for us in this. Kids (and adults) often have big emotions that need a safe place to be expressed. Telling them to ‘cut it out’, or giving consequences for ‘bad behaviour’, rarely work in the long term, don’t recognise or address the underlying nature and source of what is happening, and often hurt your relationship. So, instead of yelling, “Don’t shout at your sister!” or imposing a consequence on an already frustrated child, this may mean naming the emotion (“I can see you’re frustrated that … that didn’t work for you”), making space for that emotion to be expressed (“you feel like shouting right now, I get that. Sometimes I feel like shouting too when I don’t gt my own way”), and then helping the child find a safer way to express their emotion (“let’s go out in the yard and get our shouts out there.”) Often that may lead to the frustration changing to sadness and then adaptation, but that process will need to be the focus of another blog post! This does not mean ‘anything goes’, just as I don’t let Maggie chase the horses. It is still appropriate and necessary to set limits and boundaries around what sorts of expressions work or don’t work and this will vary between individuals and situations. These boundaries, when communicated within the ‘Yes, Yes, Redirect’ approach discussed above should further help your child feel safe, like the lower fence rail I put up around the horse pastures helps keep Maggie safe. If you are controlling the circumstances, they don’t have to. The same approach can be helpful in terms of how we allow ourselves to express our emotions. Becoming an adult certainly does not mean that everything suddenly works out for us and we always get our own way! So we too experience frustration. Minimising or stuffing our frustration, or any other emotion, may seem to work in the short term but is rarely effective or good for us in the longer term. While I’m guessing you – or your kids – probably won’t want to chase Maggie’s yellow egg, you may benefit from new ways to let your emotions move. This may be going on a ‘mad walk’, journaling, or writing the letter you don’t send. In terms of expressing frustration the rules are simple – the expression decreases the frustration (rather than riling you up further), does not hurt you or anyone else, and does not get you in to trouble. Living on a farm I like to kick horse poop. What works for you? 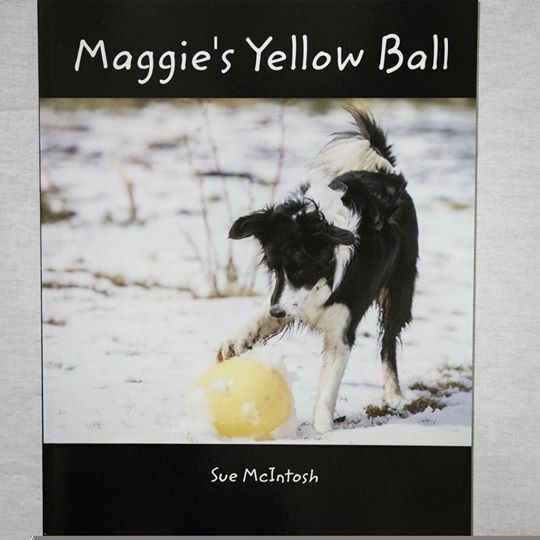 See our therapeutic story: Maggie’s Yellow Ball to explore these concepts with kids. Shetland ponies Pickle and Teddy are tired of being chased around their field by Maggie, an energetic border collie who they believe should know better by now. They wonder why she doesn’t seem to be able, or willing, to behave. Is she bad? Or is there something wrong with her? Join Teddy, Pickle and Maggie as they learn important life lessons about frustration, empathy, emotional expression and relationships. Love it. You are insightful and wonderful. Great points. I miss you. Would be great to see you sometime!